Featuring a newly remodeled facility, we feature the latest and most advanced technology to help us make every animal's visit a pleasant and beneficial one. Our staff will make sure we take the time to educate and attend to all your individual needs. 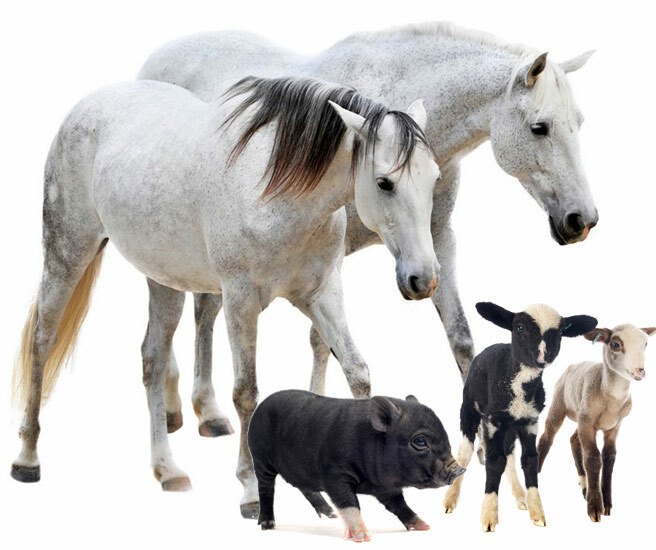 We work on large and small animals, and our doctors have over 30 years of combined experience! Ultrasound is so important and we have quality equipment to facilitate the best in care for large or small animals. We offer arm-free bovine ultrasound for speed and efficiency in pregnancy detection. Digital X-ray is the only way to go for your needs! We offer portable digital x-rays for your equine needs with immediate viewing capabilities and perfect for pre-purchase exams. Our facilities include a dedicated surgical suite for both small animal and equine surgeries. We follow the highest protocol in surgery with the most experienced and professional doctors and staff. Nothing is more exciting than a new puppy or kitten, we offer wellness packages that guide you through the entire vaccinations set and keep them healthy through regular wellness exams. Portable ultrasound is the only way to go for your on-site cattle needs. We also have our own chute that we can bring with us to help facilitate all your vaccination and pregnancy checking cattle work. We are the only facility in the area to offer endoscopic service, including a 3-meter scope capable of diagnosing stomach ulcers in horses. In-house equipment provides quick & reliable answers. With a brand new blood machine we are ready and able to process in-house blood work for quick, immediate information regarding the health of your beloved pet. Call our office to learn more. Looking for healthy alternatives to surgery or with any current injury? Our shockwave may be the answer! Shockwave offers a non-invasive alternative to aid in your pets healing. "These guys are amazing! I’ve actually changed vets because of them. They are so compassionate and have helped me so much! I bring in hurt stray cats and they are there to help me feel better about putting them down! Thank you guys for everything!!"